Optometrist in Vancouver | See for Life- Dr. Mini Randhawa, developmental, childrens' optometrist: Depressed? Anxious? Maybe your eyes are too dry. Dry eye syndrome linked to depression and anxiety. Depressed? Anxious? Maybe your eyes are too dry. Dry eye syndrome linked to depression and anxiety. 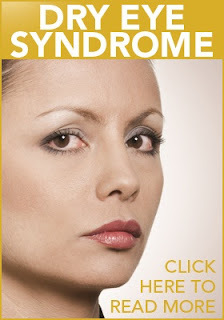 Vision Source Vancouver optometrists see the effects of dry eye syndrome on patients every day. Sometimes it is an irritating thing in the background. However, dry eye syndrome can get so bad that it can wreck your life by taking away the things you love to do and ruin your relationships with your loved ones. Dry eyes may seem trivial but for chronic sufferers of dry eye syndrome, their dry eyes significantly decrease their quality of life. Many of these people are not able to drive, work on the computer for very long or even watch TV with family because their eyes will not tolerate the activity for more than a few minutes. Dealing with the discomfort, burning, scratching, and pain of dry eye syndrome can make your life bad enough that you may become clinically depressed. People who are older and who have had dry eye syndrome for longer are most at risk of depression and anxiety. This suggests that the earlier you seek treatment the better it is for your mental health. For dry eye sufferers, the best advice is to go see your eye doctor as soon as possible because a wide variety of effective treatments are available for dry eye syndrome and one of them can probably improve your dry eye symptoms. For most dry eye sufferers, it is possible to avoid the spiral of discomfort, pain, burning and eventual depression and anxiety that can come from dry eye syndrome. I'll be on RJ 1200 today at 2:00 p.m.